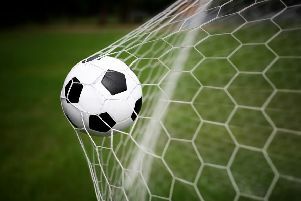 Hastings United Football Club will kick-off the new season with an eye-catching home game against another team which suffered play-off heartache last term. The fixtures were released this morning (Thursday) and United will host Corinthian-Casuals in their opening match of the 2017/18 Bostik League Division One South campaign on Saturday August 12. Casuals were pipped on penalties by Dorking Wanderers in the 2016/17 play-off final, just four days after United suffered the same fate against the same opponents in the semi-finals. United will be back in action just two days later as they head to Carshalton Athletic in their first away game. Summer signing Jack Dixon will have a swift reunion with his former club as United entertain East Sussex rivals Lewes on Monday August 28. The reverse fixture at The Dripping Pan will take place on Boxing Day. Adam Hinshelwood’s side will kick-off 2018 at home to East Grinstead Town on New Year’s Day and the reverse fixture will be on Easter Monday. February sees back-to-back home games against Kent sides Ashford United and Hythe Town, plus the seemingly annual late winter trip to Guernsey. United will be at The Pilot Field on the final day, against Sittingbourne. Hastings United’s 2017/18 Bostik League Division One South fixtures: August 12 Corinthian-Casuals (h), August 14 Carshalton Athletic (a), August 26 Ramsgate (a), August 28 Lewes (h). September 2 Herne Bay (h) or FA Cup 1st round qualifying, September 9 Phoenix Sports (a), September 13 Cray Wanderers (a), September 16 Thamesmead Town (h), September 23 Molesey (a), September 26 Horsham (h), September 30 Walton Casuals (a). October 14 Faversham Town (h), October 21 Corinthian-Casuals (a), October 28 Chipstead (h). November 4 Shoreham (a), November 7 Cray Wanderers (h), November 11 Ashford United (a), November 14 Horsham (a), November 18 VCD Athletic (h), November 25 Guernsey (h). December 2 Hythe Town (a), December 9 Whyteleafe (h), December 16 South Park (a), December 23 Ramsgate (h), December 26 Lewes (a), December 30 Herne Bay (a). January 1 East Grinstead Town (h), January 6 Greenwich Borough (h), January 13 Sittingbourne (a), January 20 Thamesmead Town (a), January 27 Molesey (h). February 3 VCD Athletic (a), February 10 Ashford United (h), February 17 Hythe Town (h), February 24 Guernsey (a). March 3 South Park (h), March 10 Whyteleafe (a), March 17 Walton Casuals (h), March 24 Faversham Town (a), March 31 Phoenix Sports (h). April 2 East Grinstead Town (a), April 7 Chipstead (a), April 14 Shoreham (h), April 21 Greenwich Borough (a), April 28 Sittingbourne (h). * HASTINGS United Football Club is giving supporters and young people and their families the chance to meet first team players and management this weekend. United will be holding a community day on Saturday at the multi-use games area on the seafront (behind the Hastings Adventure Golf complex) from 1-3pm. The event will give supporters and young people and their families a chance to meet players, as well as first team manager Adam Hinshelwood and assistant Chris Agutter, and join in with a training session. Academy players will also be present, taking part in penalty shoot-outs and other competitions with a chance to win a Hastings United t-shirt.